The 2016 Rio Olympics was a great opportunity for many Missourians to experience the pinnacle of worldwide sports competition. Six former Missouri natives and high schoolers made the US Olympic Track and Field team, while another was the U.S. Women’s head coach. Another native born in Missouri but raised elsewhere also made team USA, while eight former or current Missouri collegians were on rosters of other countries in Rio. One Missouri native coached an athlete from another country, while two other coaches who competed in high school or college in Missouri had athletes competing for Team USA. Finally, Missouri native Jeff Hartwig, himself a two-time Olympian, who now coaches at MICDS and is an agent, had two clients compete and win medals for the US in the vault. You’d think that amount of representation would be hard to beat, but in one way it has been bettered for the IAAF Outdoor World Championships in London that kicked off today. The world governing body for track and field, cross country, race walking, and road, trail, mountain and ultra-running, the International Association of Athletic Federations (IAAF), holds the Outdoor World Championships every other year in the year following one Summer Olympics, and before the next. While it also holds the Indoors World Championships in March of a Summer Olympics year and two years later. 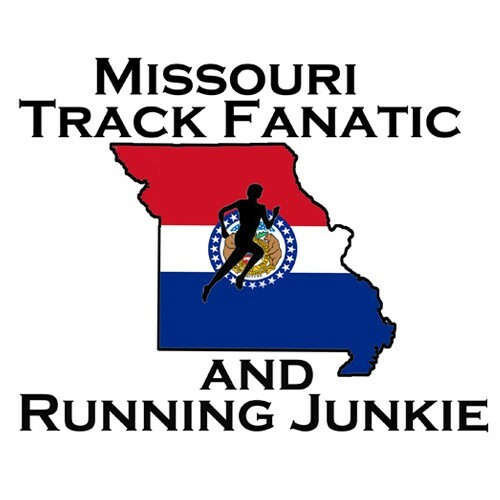 Seven former Missouri high schoolers are on Team USA for the meet this year, as are two others born in Missouri; one of which competed at a Missouri college, married a Missouri High School state champion and lived here post collegiately for a couple of years. While the number of Missourians on Team USA are up from last year’s Olympics, the number of foreign Missouri collegians scheduled to compete at the World Championships appears to be down to three. The IAAF Outdoor World Championships schedule is like the Olympics, 10 days of competition with a morning and evening session most days. All field events have a preliminary or qualification round, followed by a final round made up of the top 12 finishers a day or two afterwards. The top 8 athletes after three attempts advance to get three more. Unlike most competitions, preliminary or qualification round marks don’t follow an athlete to the finals. The scoreboard is wiped clean for the finals. In track events shorter than 10k, there are 2-3 rounds per event, with the 100-meter dash, and 100 and 110-meter hurdles final two rounds held often in the same evening session, usually 2-3 hours apart. In other words, there are either a prelim and final, or a first round, semifinals, and finals. Missourians Gwen Berry and Michael Rodgers probably have the best chance for medals. After a sixth-place finish in the 100-meters at the USA championships, Rodgers is in the 4×100 relay pool and may get the chance to run the prelims and or finals. Rodgers will look to add to his silver medal from the 2013 World Championships in the 4×100. In 2015, Rodgers placed 5th in the 100, then looked like he would anchor the USA to upset Usain Bolt and Jamaica in the 4×100 and stop their winning streak. However, Rodgers took off too early and the baton was passed out of the exchange zone, disqualifying the US. Rodgers, who has a World Indoor Silver in the 60-meter-dash in 2010, led off the US 4×100 in Rio last year. The team took third to earn the bronze, but were disqualified when officials ruled Tyson Gay touched the baton before the exchange zone as Rodgers extended it. That was just the latest mishap in the recent history of US men 4×100 struggles. Rodgers is hoping for redemption and to beat legend Usain Bolt in his last race before retirement. Berry is currently second on the world performance list in the hammer throw, and has posted not only the American Record in May with her 250-10 toss in the hammer throw, but has four of the top 10 US marks all-time, all this year. But don’t count out DeAnna Price either in the Hammer Throw. This will be the third straight outdoor global championships for Troy High School graduate. After two straight NCAA titles, Price made the Olympic team last year and advanced to the finals, taking 8th in Ro. Price is currently 8th on the world list with her PR of 245-9. Just like Berry is having a phenomenal year with one great performance after another including her World Record in the weight throw indoors, Emily Sisson has been tearing up roads and track since disappointment at the 2016 Olympics Trials. Sisson took 10th in the 10k at the 2016 Olympic Trials and then scratched out of the 5k. She has since rebounded in her second year as a pro. On the USA Running Circuit, Sisson has posted two runner-up finishes at the 20k and 5k distances while winning her first US senior national title with road 10k title in October. Those three finishes earned her a cool $23,000. In February, Sisson ran 15.02.10 for 5k indoors, putting her fourth on the US All-time list. In March Sisson went 68:21 at the NYC Half-Marathon, moving to fifth on US All-Time List. In May, Sisson ran to a 4th-place finish at the Payton Jordan 10k in a PR 31:32, then ran 15:10 for 5k at the Prefontaine Classic. At USA’s Sisson passed Olympic 10k medalist Shalane Flanagan, who was reportedly coming off injury and just a couple of months of training over the last two laps, and held on for a third place finish and PR 31:25 to make her first USA Senior Team after representing Team USA as a junior three times. Actually, all four Missouri distance women could put a scare into the rest of the world. Steeplechasers Collen Quigley and Courtney Frerichs both had impressive Olympic debuts with 8th and 11th-place finishes in Rio. While Quigley was hurt or recovering most of the 2015-16 season, she was able to run a 4:12 1500m a few weeks before the 2016 Olympic Trials then take 3rd to make the Olympic team. This year is much the opposite. She set a PR of 9:20.00 in the steeple a few weeks after Rio last August. Quigley has raced plenty and had lots of success this year. In December, she won the USATF Club Cross Country Championships title. In February, ran a 4:24.88 mile indoors to move to 8th on the All-Time US list. Ran to a 3rd place finish at USA’s to secure her third-straight global championships berth. Last month, Quigley won a 1500-meter race in Europe in 4:03.93, making her world class in that event as well as the steeplechase. That time puts her 22nd on the world senior performance list. Quigley appears primed and ready to improve on her 8th-place finish in Rio and she and her US teammates could hang with the Africans to the end. For Frerichs, 2015-16 couldn’t have gone much better. After an All-American career at UMKC, Frerichs followed coach James Butler to New Mexico for her fifth-year of eligibility. She took 4th at the 2015 NCAA CC Champs, leading the Lady Lobos to the national team title and then got engaged at the meet to her former UMKC teammate and former Rock Bridge High runner Griffin Humphreys. Then without indoor college eligibility remaining, Frerichs ran a PR 15:31 5k. She capped her capped her college career with the 2016 NCAA DI steeplechase title and broke Jenny Simpson’s college record with a 9:25. Soon after, Frerichs sighed with Kimbia Athletic management company, like Missourians before her Matt Tegenkamp and Collen Quigley. Frerichs NCAA title moved her up one place from 2015 when she was second to Quigley. After a new-year’s eve wedding, Frerichs posted a 4th-place finish in the 10k at the USA CC Championships. After an early May 9:54 steeple, Frerichs scored a small PR with a 9:19.09 at the Prefontaine Classic. Then she took 2nd for the second straight year at USA’s making her fourth USA team in the steeple, second senior team. While so many young talents have grabbed attention in recent years for Team USA, veteran Serena Burla looks like to be in her best form ever. The St. Louis born, Wisconsin raised, former Mizzou 10k All-American has been one of the top Americans on the roads over the last eight years. She ran 2:26 for the marathon in January in Japan. That time puts Burla 8th on the US All-Time List. She’ll try to improve on her 2015 World Champs 10th-place finish. She’s has also represented the USA on the roads internationally. Kansas City, MO born Mason Finley became the first American man to make the Olympics discus final in quite some time in Rio. Raised in Colorado where he set the high school record of 237’, Finley was an All-American in the shot and discus at Kansas and Wyoming. It took him several years though to have the kind of success you might expect from the 6-8 350 lb. after his high school performances. Chris Nilsen made his name known with his high school pole vault record of 18-4.75 at MSHSAA Sectionals in 2016. Nilsen went on to clear 18-0 two more times before college and won the USA Jr title last year to make the World Junior Championships. Nilsen competed at the 2016 World Junior Championships, where he suffered a torn labrum during the finals, though managed a seventh-place finish. Nilsen rehabbed and didn’t need surgery on the injury. Indoors he continued to big up achievements on his resume. He set the USATF Junior Indoor pole vault record, and then won in his first NCAA Meet, capturing the national title in College Station, Texas in March. Outdoors he saw his high school record go down by Louisiana’s Armand Duplantis, who represents his mother’s native country Sweden. Soon after, Nilsen claimed the USATF Junior outdoor record with his PR 18-9.5. Nilsen took second in the Drake Relays Invitational pole vault, but had to turn away the $3,000 check to keep his collegiate eligibility. Nilsen took third at the NCAA outdoor meet. At the USA Championships, Nilsen was entered in both the senior and junior pole vault. If he didn’t finish in the top three in the senior event to make the World Championships team, he could shoot for another junior title, and Pan Am Junior Championships team berth. Well, Nilsen only needed one competition. He finished third and is the second youngest member of the US World Championships team, by just a few days ahead of Vashti Cunningham. Two of the USA women’s 1500-meter runners have Missouri ties. Jenny Simpson, the 2011 World Championships Gold medalist and Rio Bronze medalist is married to Jason Simpson. Simpson was an All-Stater runner at Liberty High School before a college career at Truman State University. Kate Grace placed 8th in Rio last year in the 800. The former Yale athlete is the daughter of Stephen Grace, a Webster Groves native who attended St. Louis University High School and The University of Missouri. There are three former Missouri collegians competing for other countries at the Championships. Donald Thomas ended up on the Junior Varsity basketball team at Lindenwood University from the Bahamas. After being challenged to try the high jump, he did just that, and changed the trajectory of his life. Thomas was an NAIA runner-up in 2006, teaming up with Michael Rodgers to help the lions win the Indoor National Team title. Thomas transferred to Auburn, where he won an NCAA title, and the ’07 Mideast Regional title in Columbia, MO. at Mizzou. Then, Thomas shocked everyone, winning the 2007 World Championship. He has competed in three Olympics and many Indoor and Outdoor World Championships since He has a PR of 2.37m/7-9.25. Semoy Hackett got to Lincoln University already an Olympian. She was a many-time NCAA short sprint and relay national champion and NCAA DII record setter before finishing her career at LSU where she earned All-American honors. She’ll run the 200 and 4×100. She has been close to medaling in the Olympics and World Championships in the 4×100. Tyrone Smith was born in Bermuda, but moved to Chicago at age 5. He showed up Missouri S&T (Missouri-Rolla) as 21’ long jumper but Coach Bryan Schiding turned him into the 25’’ jumper. Smith was set to retire after his third Olympics last year in Rio, but he reconsidered, and it’s paid off. He’s improved his PR by 5.5’’ to 27-4.5, which puts him fourth in the world. His girlfriend is USA pole vaulter Sandi Morris, a former NCAA Champion at Arkansas, Jeff Hartwig client, and won the Silver in Rio last year. Dawn Harper-Nelson is from just across the Mississippi River in East St. Louis, Il. She, like Jackie Joyner-Kersee went from East St. Louis to UCLA for great college careers. Harper-Nelson won the 2008 Olympic Gold and 2012 Silver in the 100-meter hurdles. She has one World Championships medal, bronze in 2011. She took fourth at USA’s but with Keni Harrison’s Diamond League title in the event last year, she had bye, giving the US four spots in the event. Harper-Nelson was previously coached by Bobby Kersee, Jackie’s husband and former coach. Two coaches with Missouri ties will have had hands on what’s going on in London. Nat Page is an Illinois native who was an NCAA high jump champion at Mizzou. He coaches at Georgia Tech and is on the Team USA coaching staff, overseeing the men’s jumps. Heather Burroughs is a Kansas City, Ks. Native who was a Missouri distance running state champ for Pembroke High School in Kansas City, MO. Burroughs is a Colorado assistant coach and works with Jenny Simpson. Jeff Hartwig will almost surely be in London. The St. Charles native, 2x Olympic pole vaulter and MICDS coach, is also an agent. His clients include USA vaulters Sandi Morris, and Sam Kendricks, who both earned medals in Rio last year. compete in pentathlon/heptathlon before eventually concentrating on throws. NCAA Qualifier in the shot put, weight throw, and hammer throw. One of top thrower in college during her time, but never had a great NCAA meet. Berry has won 4 USATF Indoor Weight Throw Titles, one later vacated. Set the American Record in the Hammer Throw twice, once was never ratified and eventually vacated. Standout Softball player and thrower at Troy HS, choose track and field at SIU over other college softball scholarships. Threw 245-9/74.91m on June 10 which is the 7th best throw in US history, putting her 3rd on US all-time performance list, behind only Gwen Berry and Amanda Bingson. Currently 8th on World Performance list this year. Spent first two years of high school at two different high school’s in Omaha, Ne. Moved to Chesterfield, MO, and Parkway Central HS before junior year, taking same path Meredith Snow did five years before, moving from Omaha, Ne. to West St. Louis County (Eureka HS) and becoming state champion and Foot Locker National qualifier. Sisson came up just short of Snow’s previous state cross country meet record in 2009, winning her second straight Class 4 state title. 4x Foot Locker HS Cross Country Championships Finalist, placing 3rd as a freshman and senior. Skipped her senior of track competition at Parkway Central to train and race on her own schedule, which likely allowed her to break the US High School 5k record at 2010 World Jr Champs. 3x NCAA DI Cross Country All-American, would likely have been 4x, but was recovering from illness and sat out of regionals as sophomore and team shockingly failed to advance to nationals. Led team to NCAA CC Team title in 2014 with her 7th place individual finish. Foot Locker CC Nationals qualifier, placing 20th as senior in 2010. Moved with Salem, MO area native parents to Nixa from Illinois at age four. Married to former Rock Bridge High School and UMKC runner Griffin Humphreys in 2016. Gymnast/soccer player who triple-jumped, ran 400, 800, and relays in track at Nixa while also playing soccer. Ran cross country her senior year of high school, was in 8th place in C4 State race before falling w/ 160m to go. Was 2nd at NCAA Outdoors to Colleen Quigley in 2015, After graduation, transferred to New Mexico for 5th year of eligibility for Coach Butler, 4th at 15’ NCAA CC Champs, leading Lobos to Nat title. Got engaged at meet. Won 2016 NCAA DI Steeplechase title in collegiate record of 9:24.41, breaking Jenny Simpson’s record. Took 2nd at 2016 USATF Olympic Trials, Made Rio Olympics final, taking 11th overall. 2016 World Jr (Under 20) Championships: suffered torn labrum, finished 7th. Set USATF Jr Indoor Record with 18-8.25 in February at Tyson Relays in Arkansas. Married former Lee’s Summit West vaulter Kelly Vogel last month. Committed to Iowa State during high school, but following his legendary coach Rod Staggs to Lindenwood University. 4x NAIA National Champion for Lindenwood and Oklahoma Baptist. Helped Lindenwood to NAIA Indoor Team Title in 2006. Transferred to OBU after coaching change at LU. One of the all-time great 60/100-meter sprints in USA history. 60m Indoor PR: 6.48, .02 off of US All-Time Top-10, .03 off of World All-Time Top-10. 100m PR: 9.85 in 2011, Ties him for 6th All-time in US wind-legal list, only behind: Tyson Gay, Justin Gatlin, Maurice Greene, Christian Colman, Trayvon Bromell. Tied Leroy Burrell, .01 ahead of Carl Lewis wind-legal PR. 3x World Indoor 60m finalist: 4th in 2008, should have been called for false start and had another chance for medal(2 false starts before DQ then), but was throw off with bad start, 2nd in 2010, 6th in 2016. Reportedly tested positive for banned substance that was in energy drink before 2011 World Outdoors, was suspended for nine months and replaced on the team by fellow Missourian on 4×100 relay pool Maurice Mitchell. 9th in 100 at 2009 World Champs, missing final by 1 place. On 4×100 that was DQ’d in prelims. 6th in 100 at 2013 World Champs, .09 from bronze. Ran 2nd leg of 4×100 that took 2nd to Jamaica-Silver Medal with Charles Silmon, Rakieem Salaam, and Justin Gatlin. 5th at 2015 World Champ in 100 in 9.94, behind only Bolt, Gatlin, Bromell, and De Grasse, beat Gay & Powell. Looked like he and USA were going to end Jamaica’s 4×100 win streak, but Rodgers took off too quickly on anchor leg, receiving baton late and outside of zone. Finished 2nd but earned USA another 4×100 DQ. Finished 4th at 2012 Olympic Trials, earning spot on 4×100 relay pool. However ended up with broken bone in foot, and was sent home from Olympic Training Camp outside of London and replaced. Again took 4th at 2016 Olympic Trials for 4×100 berth. Ran lead off leg in prelims and final. In final, team finished 3rd behind Jamaica and Japan, but was later disqualified for an exchange zone violation. Rodgers extended the baton for second leg Tyson Gay. Gay touched the baton just before the exchange zone, but the hand off appeared to be made inside the zone. An appeal was denied and the DQ was upheld. Sisters Alishea and Ashley Usery sprint/hurdle stars at Berkeley High School and University of Florida. Alishea was one of MO HS greats, state champion at 100-200-400m, with some of state’s fastest times ever. She now coaches at Southern Illinois University. Ran for father Chris in High School at Waukesha West in Wisconsin. Survived cancer, had malignant tumor removed and much of her hamstring. Somehow from the Bahamas ended up at Lindenwood University in St. Charles, Missouri, on the Junior Varsity basketball team. Was challenged to try the high jump and the rest is history. Quickly became a 7-3 jumper, despite having a hard time getting comfortable. At one meet, after a couple frustrating misses, went back and put on training shoes and basketball shorts en route to 6-10/7-0+ clearance. NAIA All-American. 2nd at 2006 NAIA Indoors with 7-1.75 clearance, helping Lions win National Title. Transferred to Auburn where he was NCAA DI All-American and national champion. Won 2007 DI Indoor title by 3.25’’ with 7-7.75 clearance. Won ’07 DI Mideast Regional in Columbia, MO at Mizzou, before taking 3rd at NCAA Outdoors. Shocked the globe by winning the 2007 World Championships with a first attempt clearance of 7-8.5, the world leading mark on the year at the time. Followed that up a month later with a victory at the apparently now defunct IAAF World Athletics Final. Competed in 12 Indoor/Outdoor World Championships or Olympics. 6th at 2013 and 2015 Worlds. Best Olympic finish tied for 7th in Rio 2016, 1.5’’ from tying for medal. Went from 21’ long jumper to 25+’ long jumper in college. Many time NCAA DII National Champion and DII Record Setter for Lincoln. All-American at LSU in sprints, helped LSU to 2011 NCAA DI Outdoor title, which was later stripped after Hackett tested positive for banned drugs. Father Stephen is Webster Groves, MO, native, who went to St. Louis University High School, and the University of Missouri. Formerly coached by Bobby Kersee, husband and former coach of Jackie Joyner-Kersee, who is also East St. Louis, Il. native who lives part time in St. Louis, MO area. Community Ambassador for United Way of Greater St. Louis. Currently studying French, preparing to earn PhD in Psychology. 1980 Olympian in High Jump, that was boycotted by US, Ranked in Top 10 in World 1978-1981. Longtime Georgia Tech jumps coached, in his 18th year in Atlanta, coaching 40 ACC Champions, 41 NCAA All-Americans and four NCAA Champions. 2x Regional Coach of the Year. Coach of US High Jump Record Holder & 4x Olympian Chaunte Howard-Lowe, who won Silver at 2005 Worlds. Kansas City, Kansas native, who was Missouri MSHSAA State Champion for Pembroke Hill High School, before becoming an NCAA All-American distance runner at Colorado. Last year had two athletes she co-coached at Rio Olympics: Jenny Simpson (1500 Bronze) and Emma Coburn (Steeplechase Bronze), Burroughs though didn’t make the trip as she was home working with CU CC Team. Was coached at Arkansas State and professionally by Earl Bell, the former World Record Holder in the event, who earned the bronze at the 1984 Olympics and was fourth at the 1988 Olympics. Hartwig won four US outdoor titles and two more indoors. Hartwig was coached at Flo Valley College by Norrris Stevenson, the first African-American football player at the University of Missouri, where he also ran track. Stevenson coached track at Flo Valley and Forest Park Community College for nearly 30 years. Stevenson, who passed away in 2012, is a member of the Missouri Track and Cross Country Coaches Association Hall of Fame. Placed 11th at 1996 Olympics and Tied for 19th in 2008. Agent for US Pole Vaulters Sam Kendricks and Sandi Morris. Morris won PV Silver in Rio, and the Silver at the Indoor Championships in 2016. Kendricks did the same, winning the Silver at the Indoor World Meet in 2016 and followed that up with Silver in Rio. Hartwig is also an agent for Sharika Nelvis, who might be a 100H alternate, and like Hartwig, a former star at Arkansas State. Nelvis is listed on the IAAF team USA roster, but not the USATF team roster. Hartwig is also the pole vault coach at MICDS in St. Louis, a Gill track and field products representative, and the pole vault competition director for at one big track and field meet.